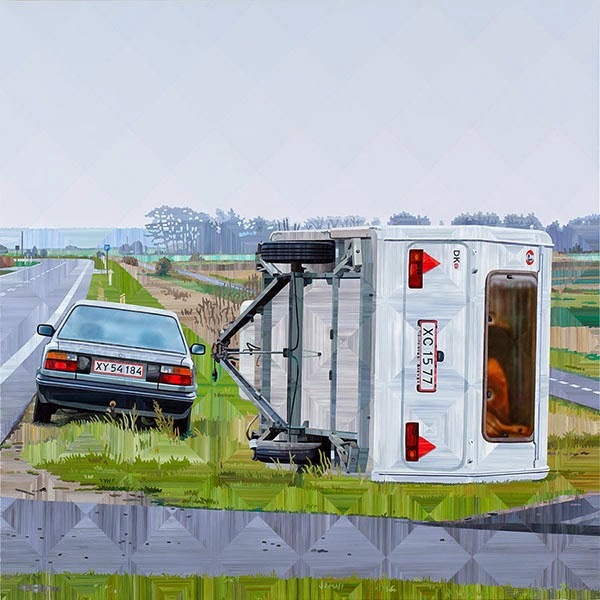 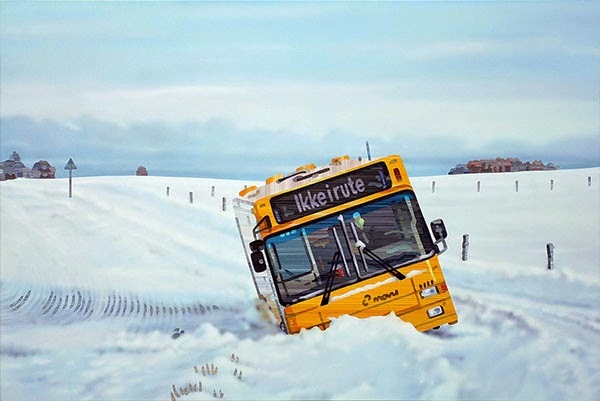 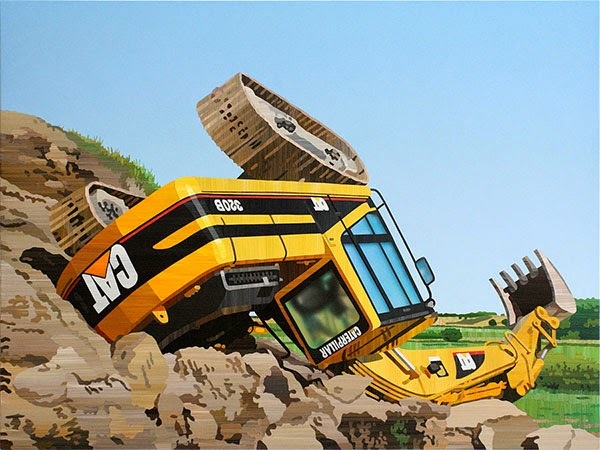 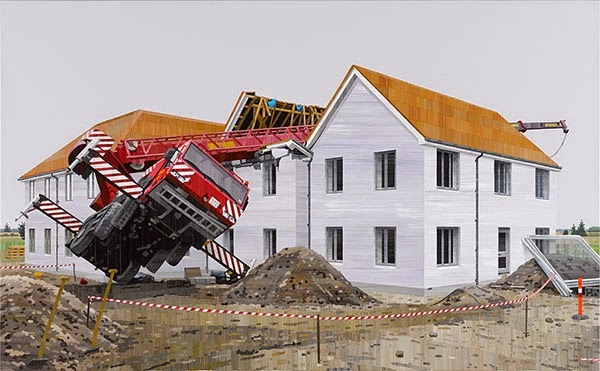 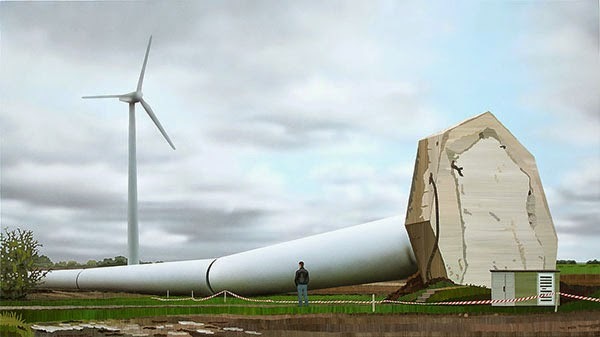 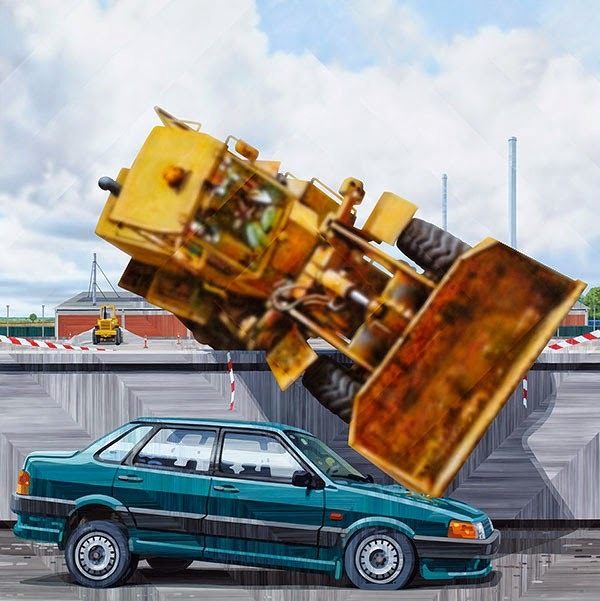 Paintings of accident scenes with vehicles or structures getting smashed, overturned, or stuck somewhere. 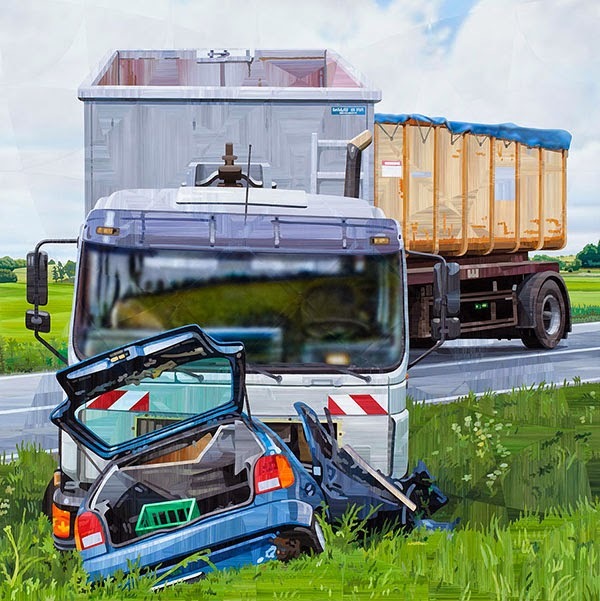 The sort of scene you happen upon while driving on the road and you stop to look and wonder how this happened and after the initial surprise, you continue on your journey. 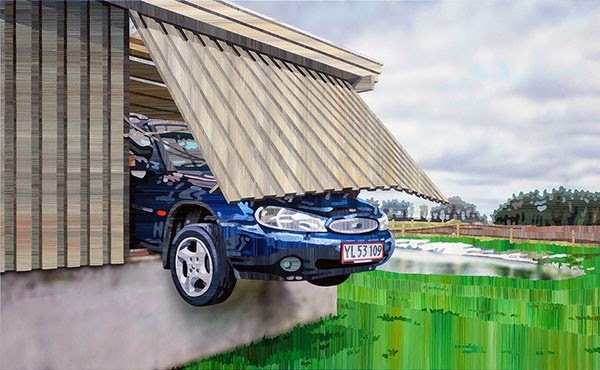 The paintings are unique in that he combines different techniques such as blurring and a dizzying array of vertical and horizontal brushstrokes.